If there is one subject I receive more messages about than any other it is Astral Projection and the related abilities of Out of Body Experiences and Lucid Dreaming. of course, the number one question of all is "how can I reliable project" or words to that effect. Literally tens of thousands if not hundreds of thousands of people have at some time or another attempted Astral Projection or the Out of Body Experience but unfortunately given up after limited or no success, often after using difficult "mystical" methods that are beyond the ability of most people to achieve easily or at all which is quite understandable. 1. Greater awareness of the true nature of "reality". People who experience an existence beyond the confines of the physical body are plain and simple transformed forever. The world today is in the sd ad stet it is in due largely to the fact that most people focus on and believe that the physical world is the only reality, have only one opportunity to "live", and are determined to make the most of it at all costs. It is the "at all costs" aspect that is particularly damaging and continues to be so. 2. Astral Projection and the Out of Body Experience is a means by which anyone can personally verify their own immortal, Spiritual, indestructible nature. Having experienced life separate from the physical body, the projector is left in no doubt about the continuity of life after the event erroneously known as "death", and as a result of which the fear of "death" disappears forever. 3. Following on from the above, people immediately understand that the process known as "death" is actually an amazing, profound, glorious Spiritual adventure, and one to look forward to rather than to dread. Of course it is always most important to keep in mind that we are all, every one of us here for a purpose, and it is our duty to fulfil that purpose. Failure to do so means a missed opportunity and often the need to return to "get it right" next time. 4. Increasing desire for knowledge. Once you realise that this planet Earth is but a tiny aspect of the life and of the Universe, there is an all consuming desire to learn more, and that desire alone will cause the Universe to respond to that desire. 5. Increased Psychic abilities. Out of Body experiences almost always activate a psychic abilities such as clairvoyance, mediumship, ESP etc..
6. Power of Healing: While out of body healing potential and abilities are enhanced dramatically and many things become possible that might by the uninformed be regarded as "miraculous". As we know from previous newsletters all ailments, dis-eases, illnesses etc. originate from the inner Energy levels of our Being. The outer, physical shell is merely an observable reflection of those dis-eases. Out of body the origins of the dis-ease can be observed and cured by the powers of the Mind alone. 7. Powers of the Mind and The Law of Attraction: This benefit is extremely important! We have discussed at length how we all create our own reality by our predominant thoughts. To many people who have not been able to verify this absolutely immutable Universal reality in can be difficult to grasp. However, due to the much higher levels of vibration and correspondingly lower density of Energy levels beyond the physical world, we can actually observe our thoughts taking shape, leaving us in no doubt about this process. We can actually observe that the more we focus on something the more "tangible" it becomes. Due to the high density and low vibration of the physical world this process can take more effort and a longer time to achieve, but the important thing to remember is that there is only one set of Universal Laws, and if it applies to Energy levels beyond the physical, then it must also apply to the physical itself. Knowing this means more freedom and the ability to create our own reality as any doubts about the truth of The Law of Attraction and creating reality with our thoughts are erased forever. 8. Much enhanced rates of personal evolution. Having experienced, at first hand the truth of our own Spiritual nature, and knowing, beyond all doubt that everything we have learned in theory is also true in practice, then any doubts are cast aside and we become free to evolve at a much greater rate. We become free, or as the saying goes: "and ye shall know the truth and the truth shall set you free". Make absolutely no mistake on this; the truth will set you free! 9. Meeting with "deceased" people. Yes; this is a big issue! During an Out of Body experience we are free to travel anywhere within the personal limits of our personal evolutionary vibration which is a function or our individual state of evolution or "Spiritual perfection". This means that we can usually visit anyone who has previously made the transition simply by thinking about them and being in their presence. During such meetings we can obtain facts that only the "deceased" person will know, and subsequently verify it upon returning to the physical body. This alone provided considerable comfort to many, knowing that their loved ones, having passed over are "alive", well and happier than ever they were on Earth. And yes, you can indeed also meet with other "projectors", regardless of their physical location on Earth, and enjoy Astral activities together, or simply as a way of saving your plane fare! 10. Respect for all Life. This is something I discuss at length in Our Ultimate Reality because it really is so important. When out of body the truth of the Universe and all Life is absolutely beyond all doubt. No longer do we view human beings as being "special" in some way. We know that we are not the "chosen ones" selected by "God" to "rule" the Earth at the expense of all other life forms. We know, beyond any possible doubt that we are an equal aspect of the Universe, of All that Is". 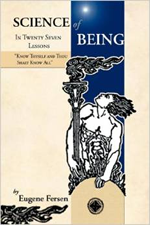 Just because life manifests in different forms on Earth, each with unique abilities, does not mean that one life form is any less important than any other; we differ only in abilities and individual purpose. We know, beyond any doubt that there is no such thing as separation. Everything is an aspect of everything else and in turn of the Universe, of "God", and whatever we do to any aspect of the Universe we equally do to ourselves. This is an important aspect of "karma" which is in turn an aspect of the great Universal law of "cause and effect" from which there is no escape. Plain and simple; treat any other life form, Being or any other Energy configuration badly, and there will always be a price to pay. This is not some form of Divine retribution but rather the straightforward workings of immutable Universal Laws which are observable when out of body. The famous profits of history, the founder of the orthodox religions of the world for example Jesus, Mohammed, Joseph Smith and lesser known prophets where all accomplished Astral Projectors, and received their knowledge, for the most part, while out of body. For example, when biblical writings talk about "climbing the mountain" and returning with "commandments" etc., this was not a physical act of donning the contemporary equivalent of hiking boots and climbing gear in order to scale some fictitious heights, "climbing the mountain" is a symbolic term for "ascending levels of consciousness". There are numerous symbolic references in religious texts to Out of Body Experiences. "The very beginning, the intrinsic core, the essence, the universal nucleus of every known high religion, has been the private, lonely, personal illumination, revelation, or ecstasy of some acutely sensitive prophet or seer". So these are just 10 of an infinite number of benefits for achieving the ability of Astral Projection and Out of Body Experiences generally. There are numerous other benefits. By now many of you might be feeling worse than ever at missing out on these benefits. Well to those feeling this way I apologise, that was not my intention. My intention is to provide you with the benefits so that you will be more motivated than ever to discover the truth for yourself. If everyone in the world were to practice leaving the physical body, the Earth would be transformed into what could truly be "the kingdom of Heaven on Earth". I realise of course that numerous people have attempted Out of Body Experiences and have sooner or later given up in frustration. This is largely due to reading books containing "mystical" procedures for Out of Body Experiences, which, although interesting to read about, are beyond the overwhelming number of people. Astral Projection, the Out of Body Experience, Lucid Dreaming and other such abilities are abilities inherent in all of us when approached in a natural way rather than by mystical methods which seem to have a different agenda for their proponents. But today I would like to provide you with some hope. Everyone, without exception is already a master of Astral Projection! When we sleep our Energy Body "projects" out of phase with our physical body in order to absorbe Energy, also known as many other things such as "Prana" and "Chi" so we can wake up feeling refreshed and hopefully "bursting with Energy". However, normally this inner projection is "unconscious" that is to say we are not aware of it. Many of you might have experienced the return to your physical body in the form of suddenly awaking with a "jolt" as if falling from a great height, This is the Energy or Astral body rejoining the physical body. Sometimes we might awake in state of paralysis or "catalepsy". In these cases the Energy or Astral body has not completely re-joined the physical body, and the centre of awareness is still located in the Astral or Energy body rather than the physical body, resulting in a lack of control over the physical body. The point here is that, whether realising it or now, Astral Projection is not, or at least should not be some form of mystical mumbo jumbo reserved for the elite few who have the time to spend hours each day on some convoluted Out of Body Experience method, it is within the reach of all of us. 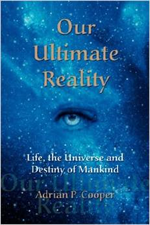 My book, Our Ultimate Reality provided much more information as well as the best current methods for both Astral Projection and OBE which differ according to the Energy level being projected to. Please be assured however that at the same time I am working towards the "holy grail" of projecting, my objective being to bring these valuable abilities within the reach of everyone.